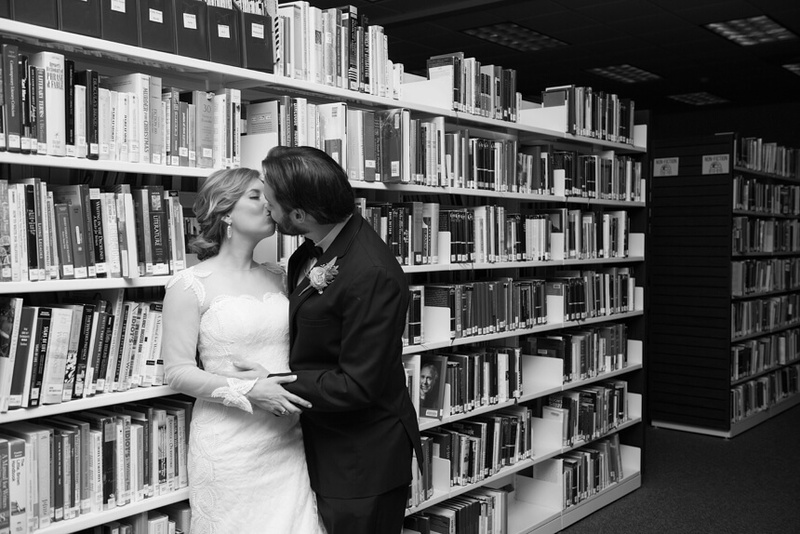 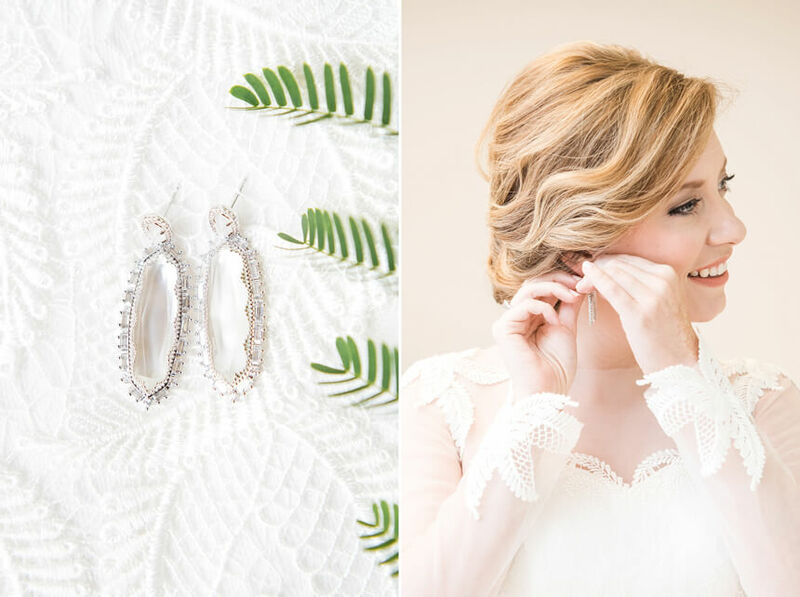 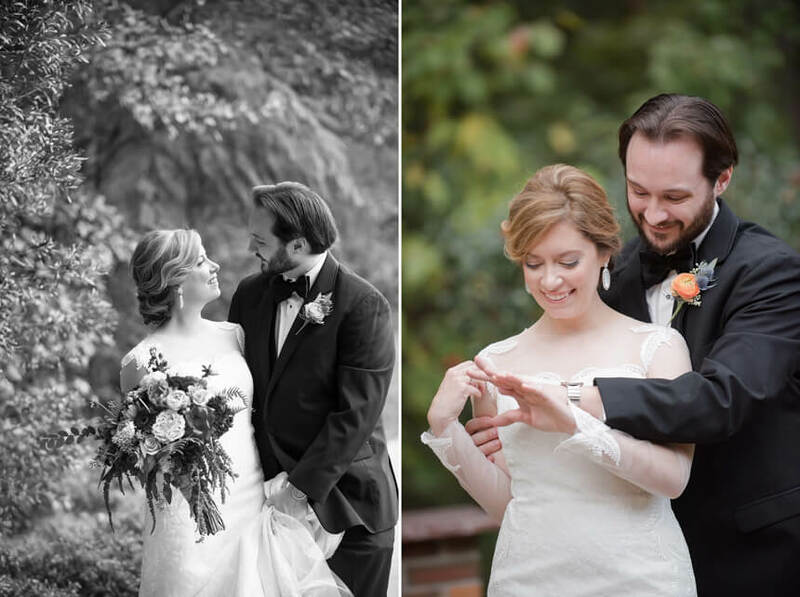 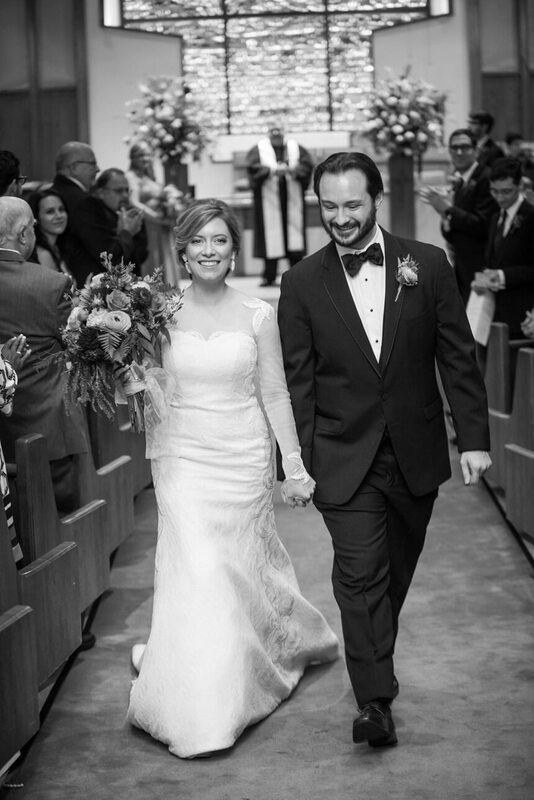 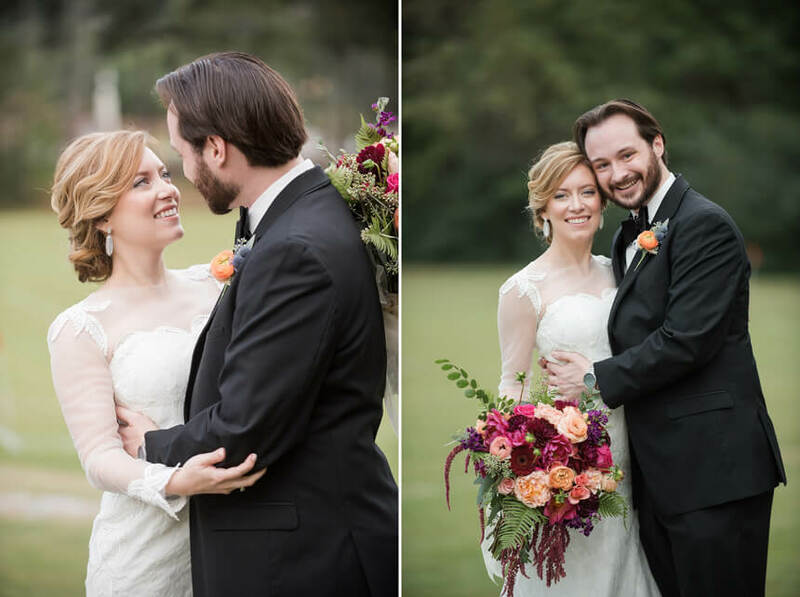 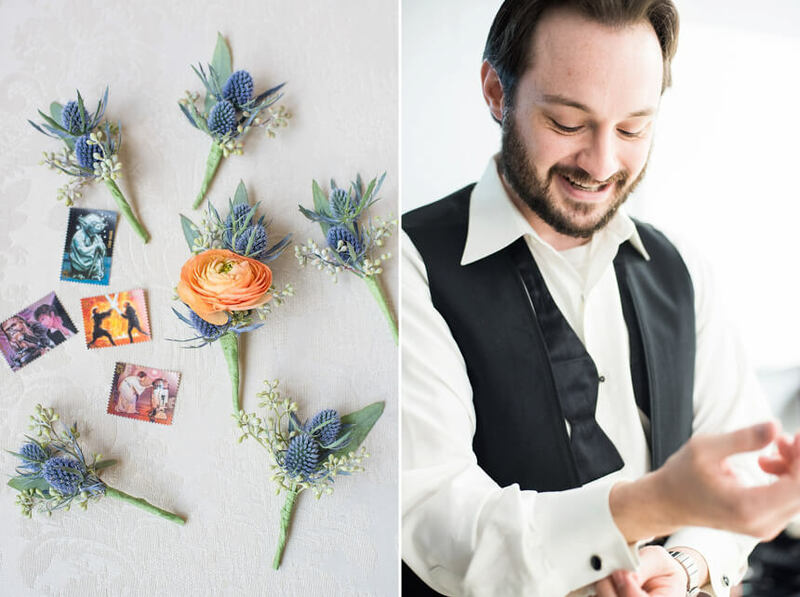 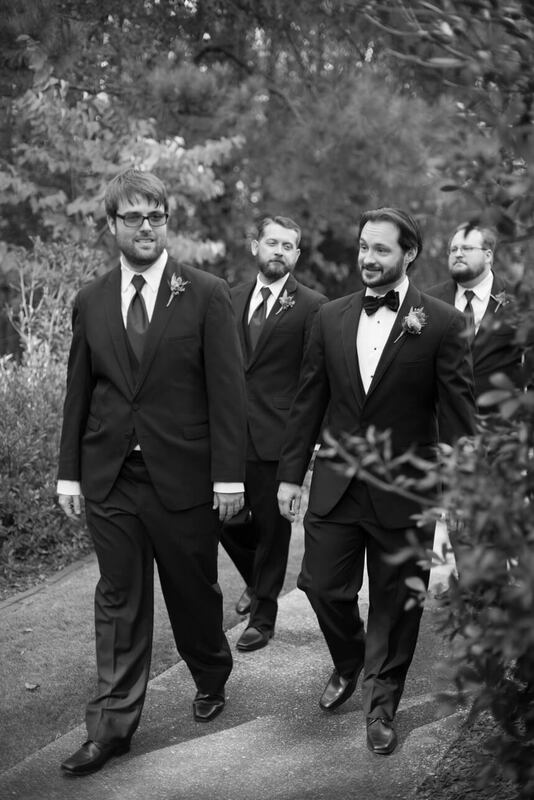 When Kelli & Daniel Taylor Photography found out that Emily and Bruce were having the reception for their wedding at North Shelby Library, we knew they were our kind of people. 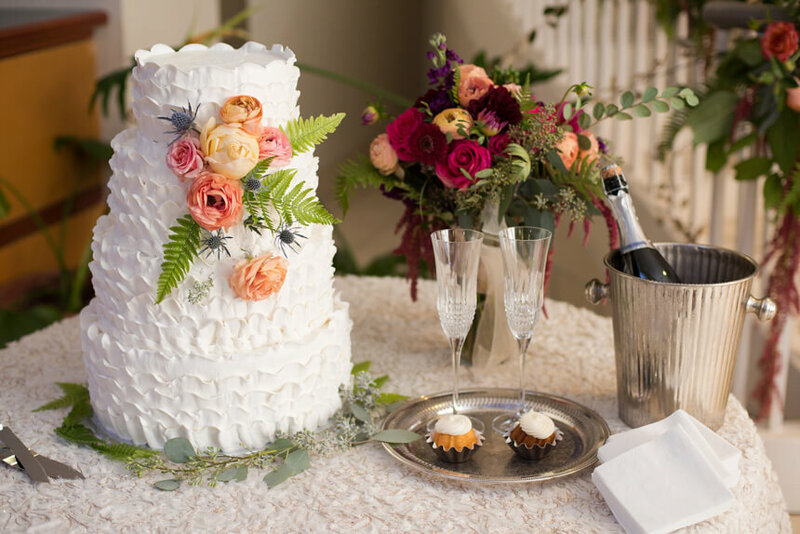 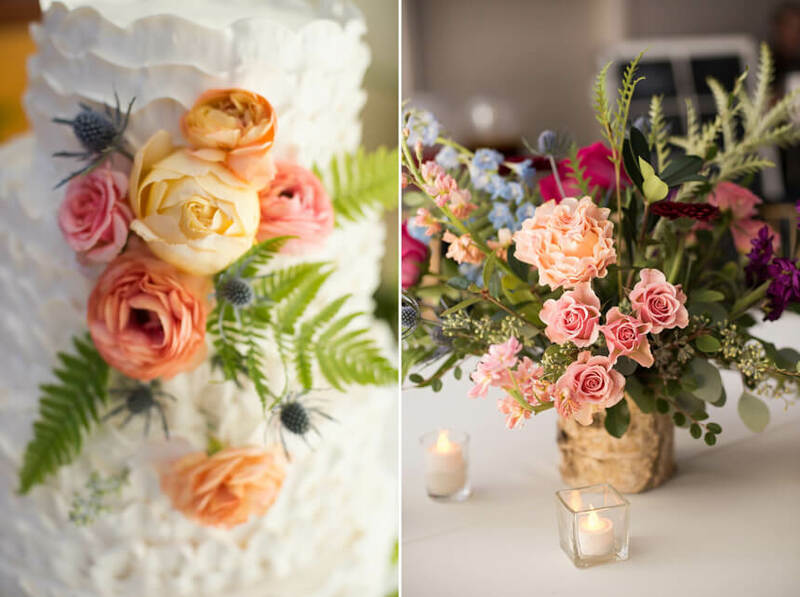 Theirs was a classic affair with personal touches of whimsy that we and their guests adored. 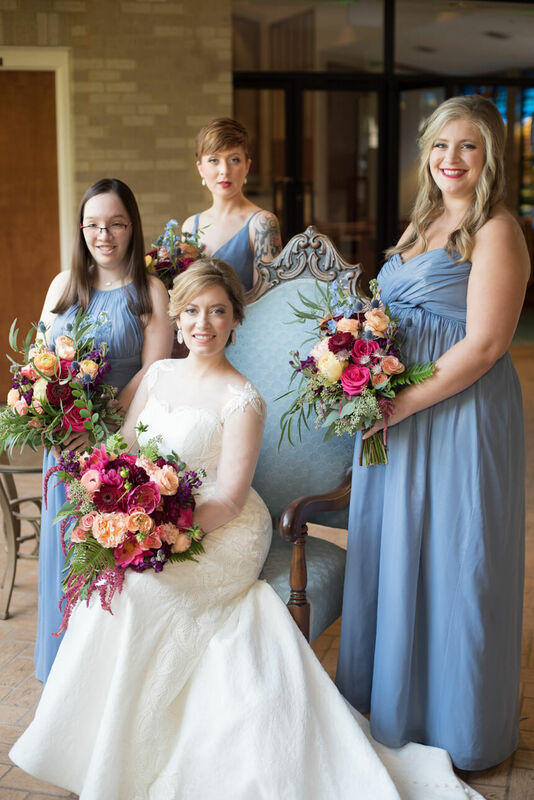 Planner Elizabeth Carlisle Events and her team made sure every moment was played out to perfection. 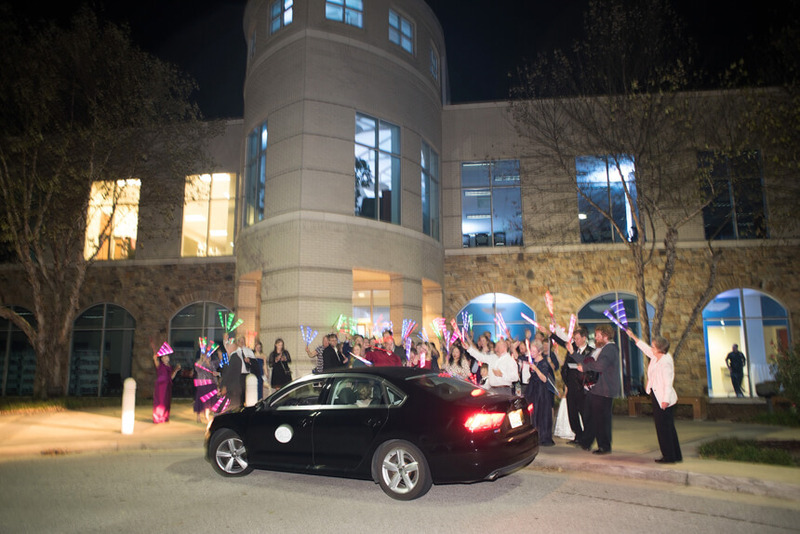 We’re excited to already have another event with the ECE team. 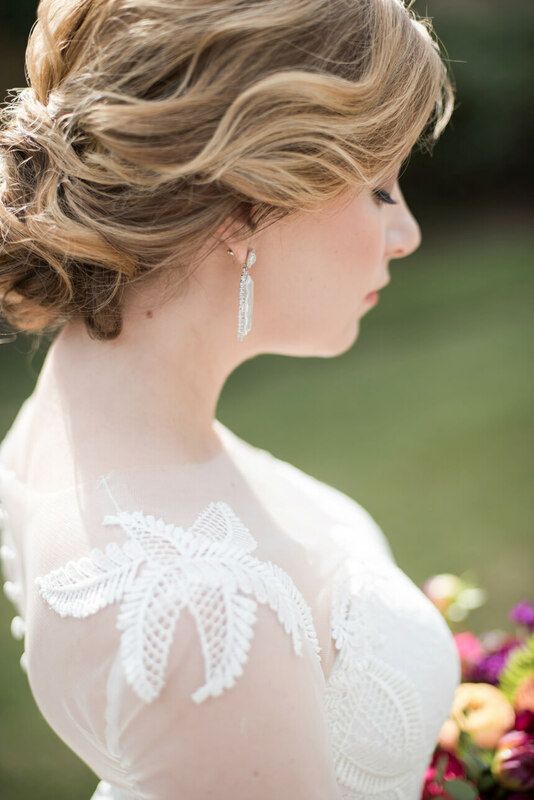 Carly has the attention to detail our clients crave, and we can’t say enough great things about her. 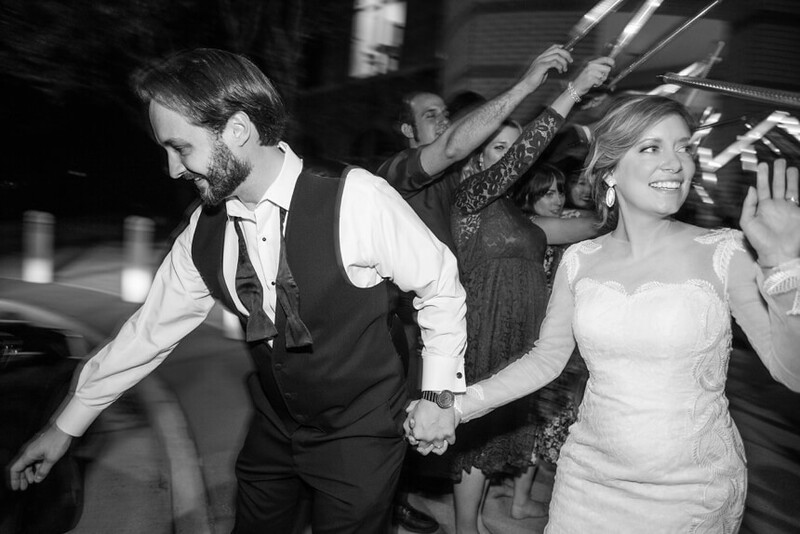 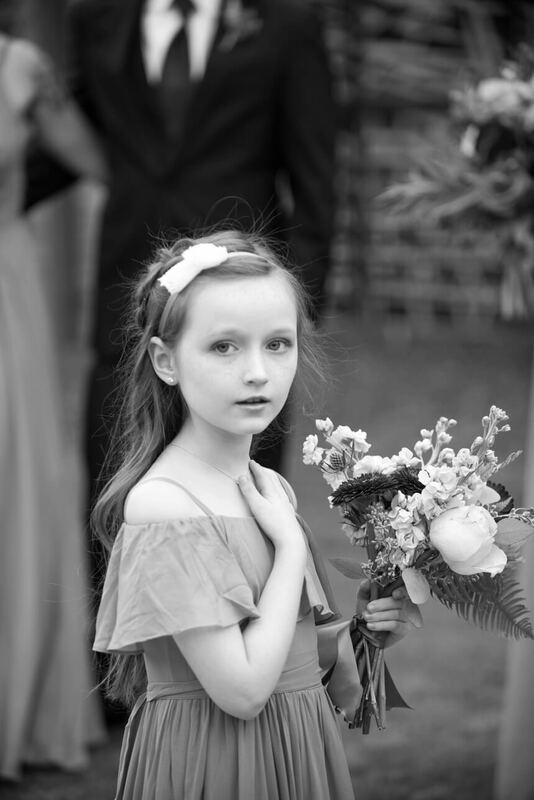 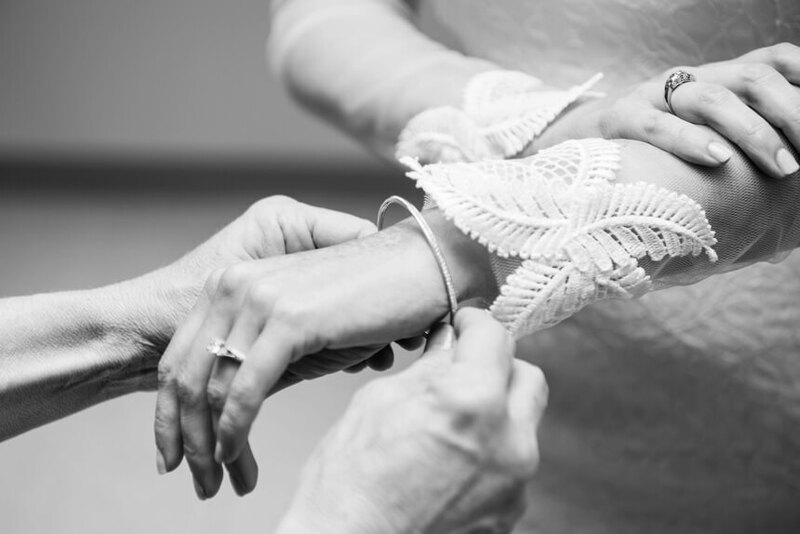 Like so many of our clients, Emily and Bruce had impeccable standards for their celebration. 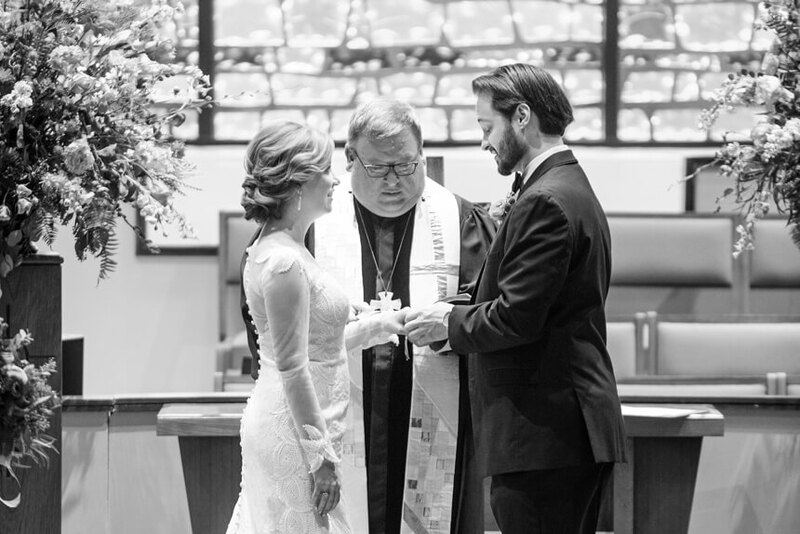 The big day began at the lovely First Christian Church off Valleydale in Hoover. 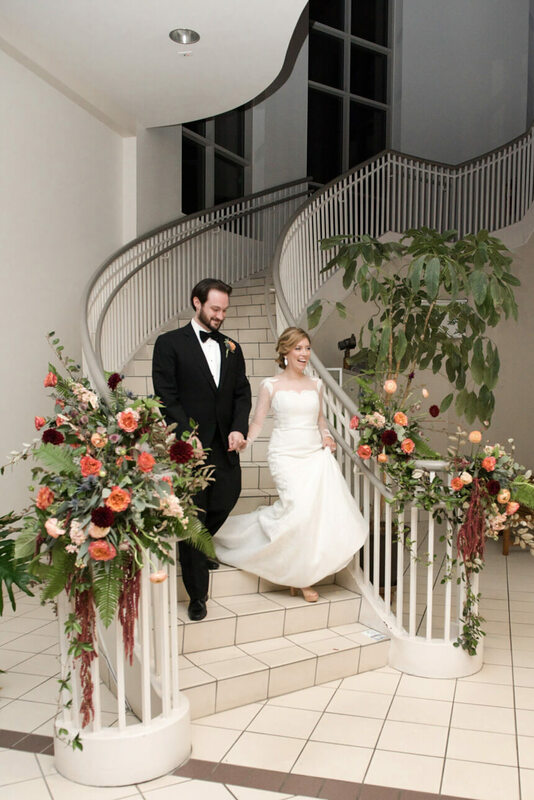 This church has an incredible staff for special events, and Dixon blew us away with her focus, making sure everything from church access to sanctuary lighting was perfect. 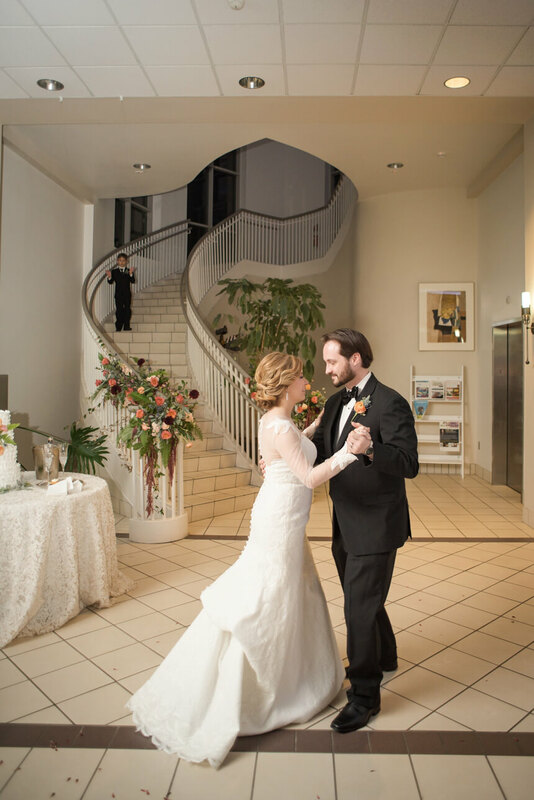 We were so happy that Emily and Bruce selected us to be part of such a top-notch vendor team. 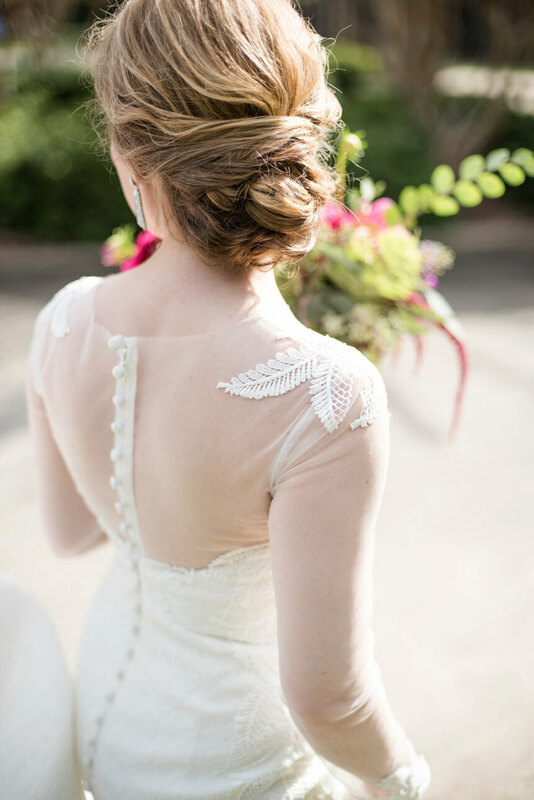 Emily’s stunning gown from Heidi Elnora Atelier was jaw-dropping, with its unusual fern design in the lace. 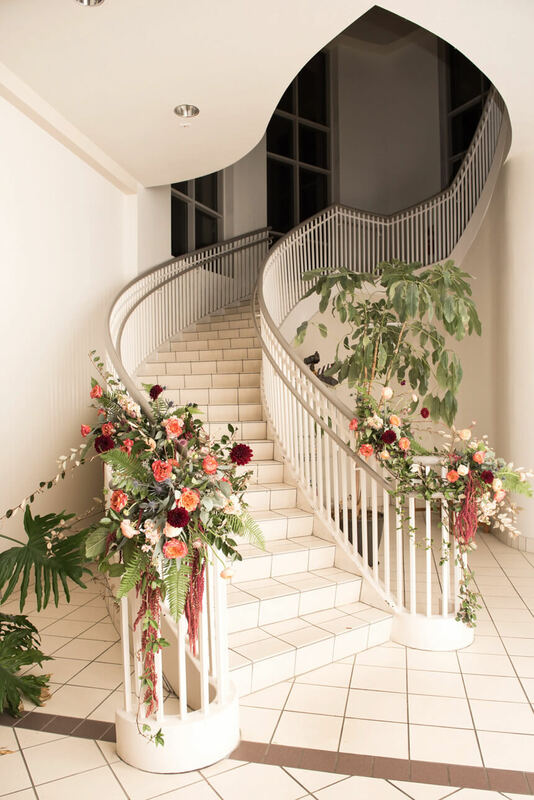 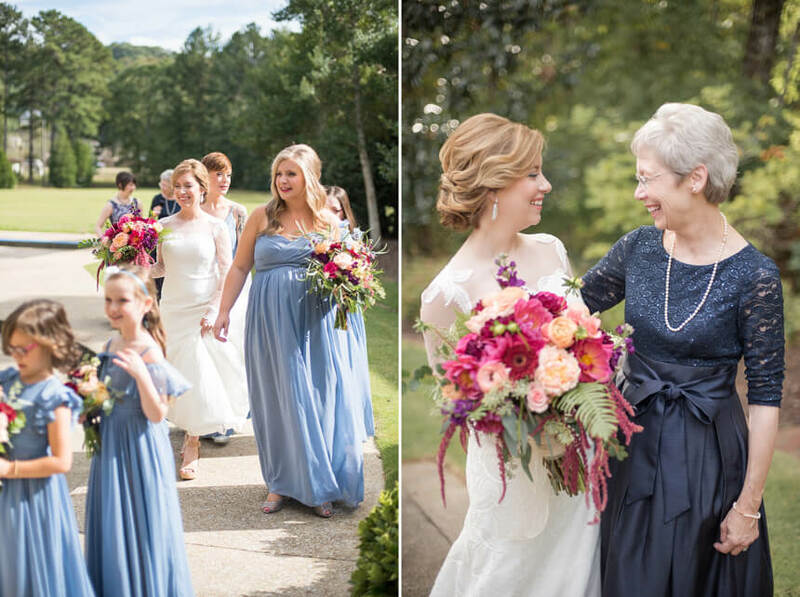 That, of course, was a creative spark for Carol of Lillie’s Florals, who took that inspiration into some of the most beautiful florals we’ve seen from her. 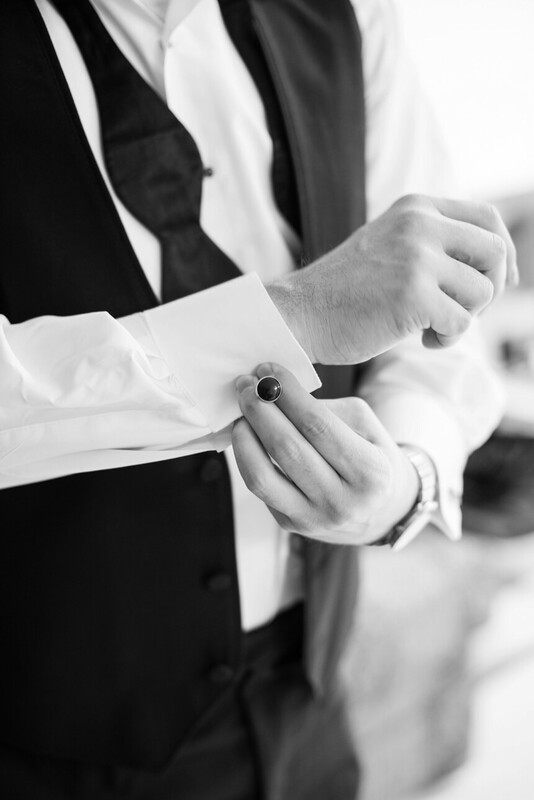 And we don’t say that lightly. 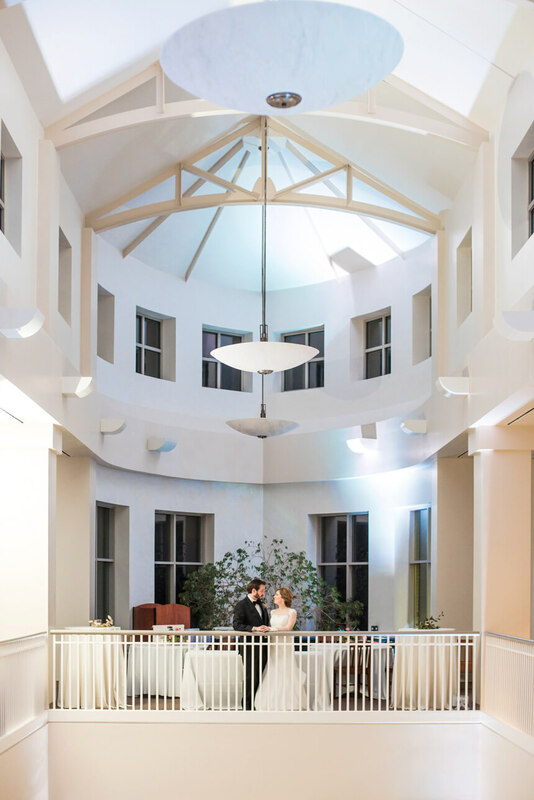 The fun reception was a short drive away at the picturesque North Shelby Library. 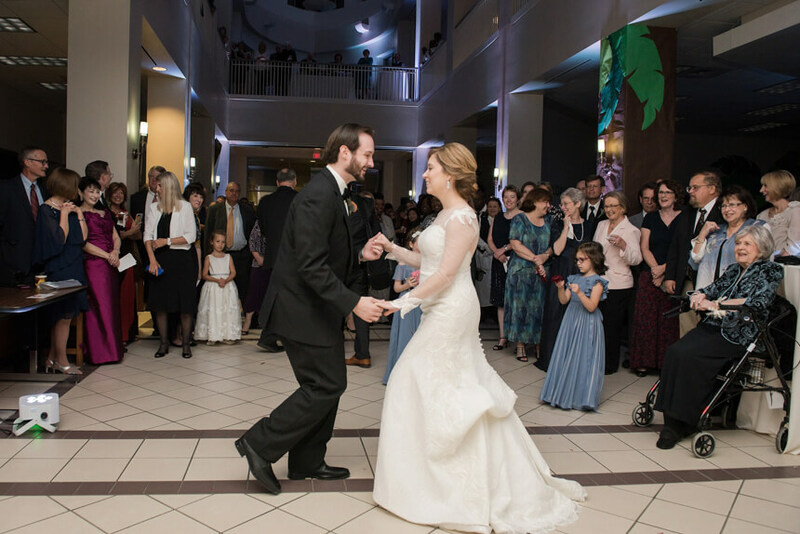 We’ve long known of libraries on the East Coast being a choice location for wedding fetes, but this was a first for us in Alabama. 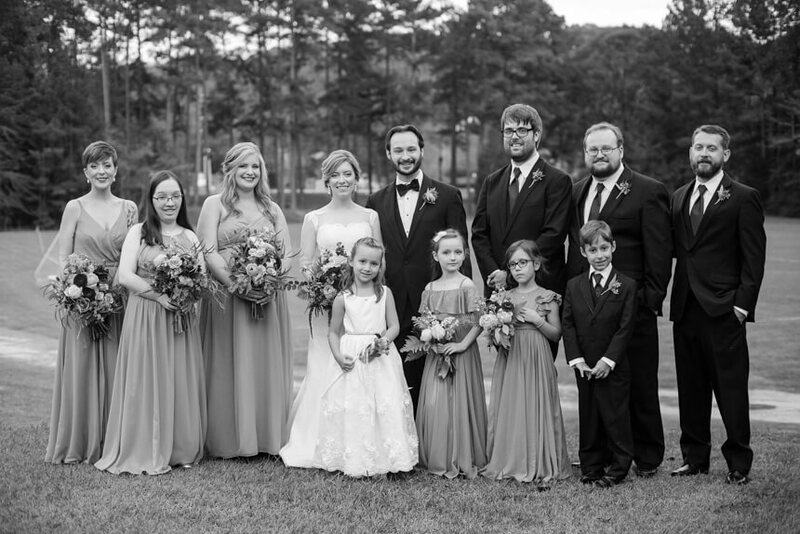 Everyone had such a terrific time. 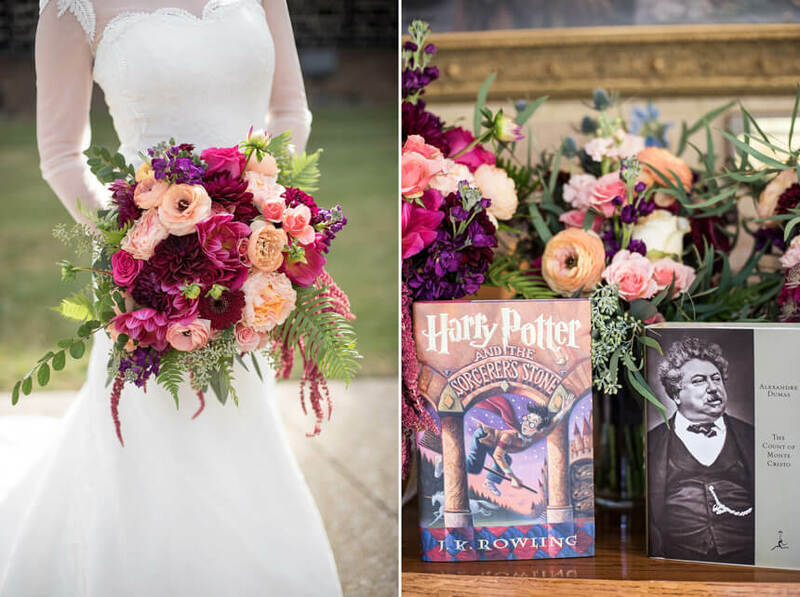 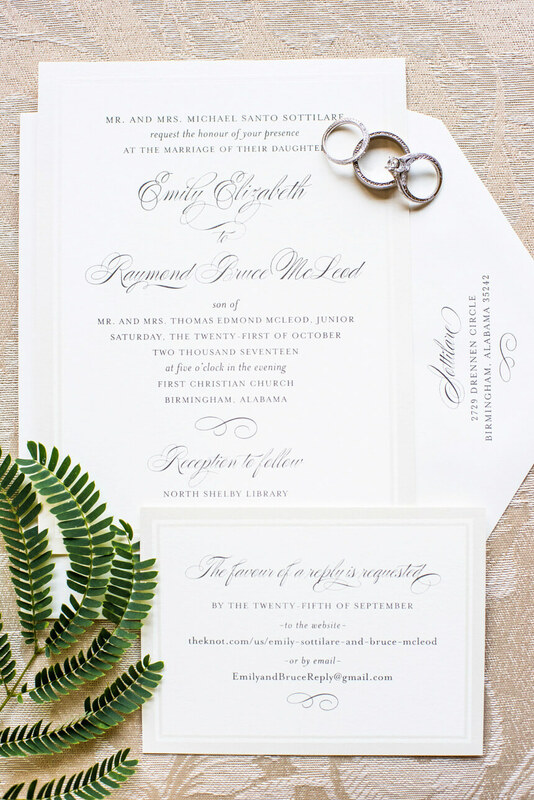 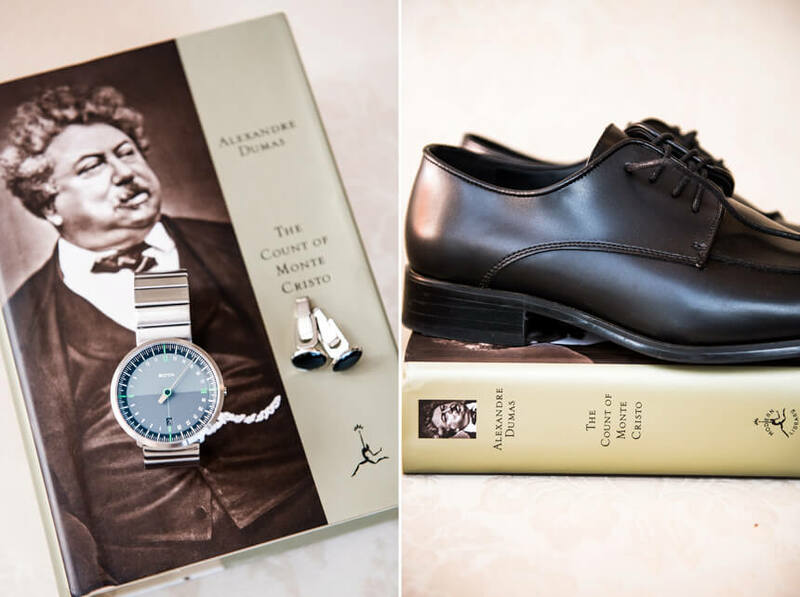 So we just had to incorporate the couple’s favorite books into a few of their detail photos: Harry Potter for Emily and The Count of Monte Cristo for Bruce. 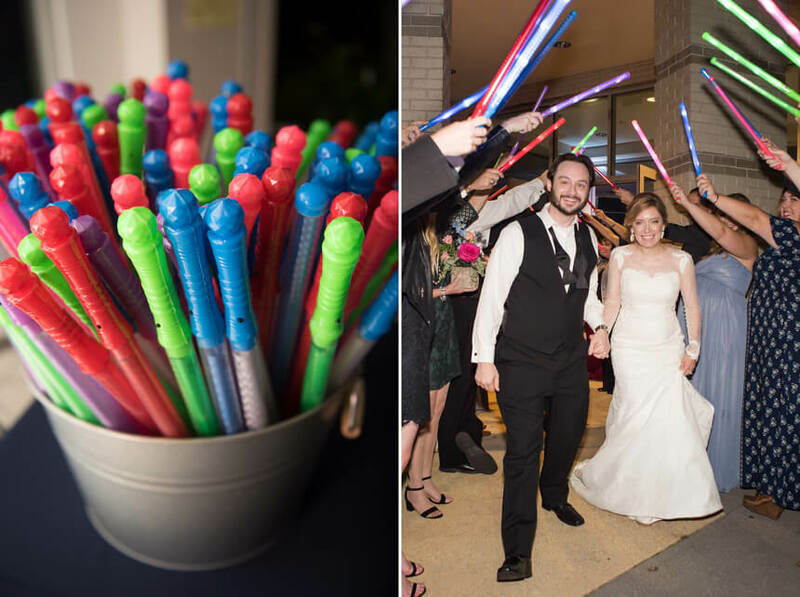 And yes, Star Wars is also a favorite, as you can see from the lightsaber departure. 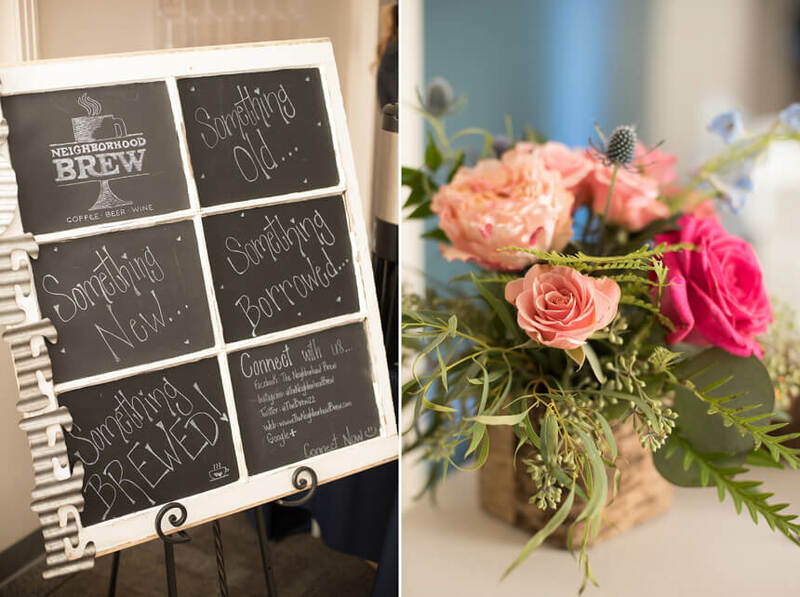 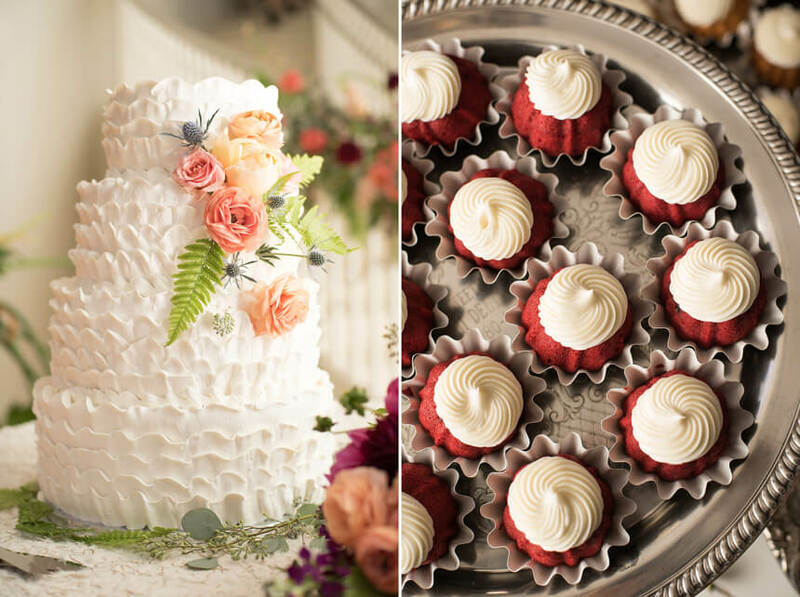 Other top vendors rounding out the included: Onsite Productions, Flash Bar photo booth, Cakes by Audrey, Nothing Bundt Cakes, Kathy G Catering, The Neighborhood Brew and Decor to Adore.